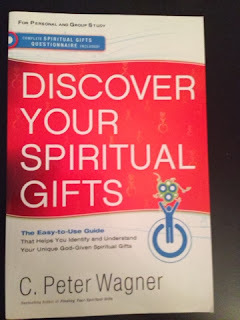 What’s it about: This book talks about spiritual gifts! It does a great job of looking at common misconceptions and confusions. There is also a questionnaire at the back to help you discover what your spiritual gifts are. Why did I read it: This is one of the books I read in 2013 for work. This topic is something we teach on at intern training and I've been wanting to learn more about it. Favourite idea: I loved this author's balance in how he explained we have each been given certain gifts to serve the whole body of Christ and yet we all are still called to certain things - yes, someone might specifically be gifted at evangelism or service but we are all called to proclaim Christ and serve the church.